Because of his extraordinary success in racing, breeding, racetrack ownership and support of retired racehorse programs, the National Thoroughbred Racing Association (NTRA), Daily Racing Form and the National Turf Writers and Broadcasters (NTWAB) today announced that Frank Stronach will receive the Eclipse Award of Merit for a lifetime of outstanding achievement in service to the Thoroughbred industry. Stronach will receive the Award of Merit at the 47th Annual Eclipse Awards dinner and ceremony on Thursday, January 25, in the Sport of Kings theatre at Gulfstream Park in Hallandale Beach, Fla. The Eclipse Awards are presented by Daily Racing Form, Breeders’ Cup and The Stronach Group, and produced by the NTRA. Over the course of his prodigious career, marked by boldness and innovation, Stronach moved swiftly in the 21st Century to become Thoroughbred racing’s largest racetrack operator and paralleled those business acquisitions with his prowess as an owner and breeder to become the most decorated individual in Eclipse Awards history, winning 12 championship trophies. Prior to his beginnings in the Thoroughbred industry, Stronach made his name in the auto parts business. Born in 1932, Stronach emigrated from his native Austria to Canada as a 21-year-old with $200 in his pocket, and started a one-man tool and die shop in a rented garage, sleeping at night next to a lathe. Working in the Toronto manufacturing district, Stronach steadily built his Multimatic company, with a series of mergers and acquisitions, into Magna International Inc., and by 1998 he developed it into one of the world’s largest and most diversified suppliers of automotive components with annual sales of more than $30 billion and over 120,000 employees in close to 30 countries. Outside of Magna, Stronach developed a great love and passion for horses and Thoroughbred racing. He purchased his first Thoroughbred in 1962. He later teamed with Nelson Bunker Hunt to campaign the talented filly Glorious Song to the 1980 Sovereign Award as Canada’s Horse of the Year. Stronach established Adena Springs near Versailles, Ky., in 1989 and made it into a breeding powerhouse. Stronach owns and operates Adena Springs Farm, with locations in Kentucky, Florida and Canada. In 2017, he announced his intention to develop a division of Adena Springs in California. While he was enjoying success as an owner and breeder, shortly after his 4-year-old Awesome Again won the 1998 Breeders’ Cup Classic, Stronach saw an opportunity to expand his passion for the Thoroughbred into racetrack property acquisition, where few other entrepreneurs were willing to venture. Stronach began to acquire racetracks under the Magna Entertainment brand on a grand scale. He bought Santa Anita Park near Los Angeles late in 1998. The purchase of historic Santa Anita, nicknamed The Great Race Place, was followed by the acquisition of Gulfstream Park in South Florida and Golden Gate Fields in the Bay Area, the following year. The purchase of the Maryland Jockey Club tracks of Pimlico, home of the middle jewel of the Triple Crown, the Preakness Stakes, and Laurel Race Course, and Lone Star Park near Dallas, followed in 2002. In a short time, Magna Entertainment became the largest racetrack operator in North America. Through a reorganization in 2007, the tracks are owned under the name of The Stronach Group, with Frank Stronach as its Founder and Chairman. His daughter, Belinda, now serves as Chairman and President of the company. He transformed Gulfstream Park into a racetrack, casino, entertainment center and a sprawling shopping village with popular restaurant and retail store outlets. In 2001, Stronach began development of the Palm Meadows training center, located 45 minutes north of Gulfstream, which proved a vital training facility for the Florida Thoroughbred racing community. At Santa Anita, he created the FrontRunner restaurant and turned it into one of racing’s most popular and entertaining locations for fans to enjoy a day at the races. In November of 2002, Stronach launched Xpressbet, an advance deposit wagering service. The following year, the HRTV network was formed, producing daily live racing telecasts tied to the Xpressbet wagering service. In 2006, he acquired AmTote, the largest totalizator company in North America. In recent years, Stronach has constructed more stabling at Gulfstream and made state-of-the-art renovations at Laurel Park on both the frontside and backstretch of the facility. In 2017, Stronach took innovation and boldness to the next level by creating the world’s richest horse race, the $12 million Pegasus World Cup, where slots in 12 starting gate positions would be sold for $1 million apiece to individual ownership groups. The inaugural running at Gulfstream Park on January 28, 2017, was won by World No. 1 ranked horse Arrogate. The second Pegasus World Cup, which will be held on January 27, two days after the Eclipse Awards, now will carry a staggering $16 million purse. A statue of Pegasus, constructed from 450 tons of steel and bronze, and standing 125-feet tall, is located near the entrance to Gulfstream. Over the past 20 years, Stronach has earned unprecedented individual milestones as an owner and breeder. He has captured the Outstanding Breeder Eclipse Award a record eight times (2000, 2004-2008; 2010-2011) and has been honored as the Outstanding Owner on four occasions (1998-2000, 2008). Stronach-campaigned horses have won five Eclipse Awards: Glorious Song, 1980 Older Female; Macho Uno, 2000 Champion 2-year-old Male; Ghostzapper, the 2004 Horse of the Year and Champion Older Male; and Ginger Punch, 2007 Champion Older Female. He has won five Breeders’ Cup races, including the Classic twice with Awesome Again and Ghostzapper. Stronach also won the 2002 Preakness with Red Bullet. Adena Springs was also the leading money-earning breeder in North America for 11 consecutive years (2003-2013), and was second in 2016. 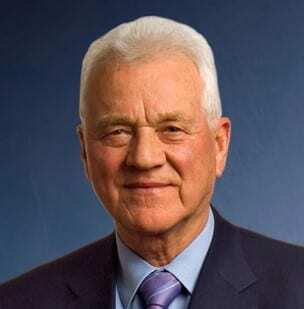 Stronach was the leading North American owner in earnings in 2000, 2002 and 2007. Stronach also has won more than 20 Sovereign Awards in Canada. He has been honored eight times as Canada’s outstanding owner along with 11 Sovereign Awards as its outstanding breeder. He also campaigned multiple Sovereign Award winner and 1980 Canadian Horse of the Year, Glorious Song. As a supporter of important Thoroughbred causes, Stronach created the Adena Springs Retirement program in 2004 with locations in Florida and in Canada, which were the first in-house retirement and rehoming programs within the industry established at such a grand scale. Stronach also created aftercare and retirement programs at his racetracks. These endeavors earned him the inaugural Earle I. Mack Thoroughbred Retirement Foundation Champion Award, honoring outstanding efforts and influence on Thoroughbred welfare, safety and retirement. In 1999, Stronach was honored with the Order of Canada, which recognizes outstanding achievement, dedication to the community and service to the nation. A complete list of past Eclipse Award winners, including the Award of Merit recipients, can be accessed online at http://ntra.com/en/eclipse-awards/history.